Julianna Fox was made for her job. Or so she is told. The only memory Julianna has of her past is after the explosion. She was a nameless victim until a man pulled her out of the darkness and gave her new life. A new purpose, because anything is better than being no one. When she is about to eliminate her next mark something stops her. The moment Julianna makes eye contact with Reid Castleton, she has a flashback of her forgotten past. How does she know the man? And why can’t she follow through with her assignment? Expert assassin, Reid Castleton, has been told to kill the only woman he ever loved if he wants to live. When he finds his fiancée, he can’t go through with the hit, even if it means losing his own life. Either she can’t remember who she is or is damn good at acting. Neither one knows who to trust. Both make a truce until they can find out why the leader of ETE 7 wants them both dead. What they uncover is a long line of lies and deception that started the moment Julianna was conceived. Will love conquer all or will fear make them do the unthinkable? With her face void of emotion as she listened to his instructions, Julianna stood in front of the man she knew as Boss. Light brown hair and hazel eyes were her only clue to the identity of the man behind the neoprene, black mask. The first time she met Boss, the plain mask that covered his entire face had kind of freaked her out. He’d explained the mask was necessary for his own protection. As a member of ETE 7 or Erasing The Enemy, a classified operation not even the CIA was aware of, she knew what was expected of her. They eliminated concentrated threats that the CIA couldn’t or wouldn’t. ETE 7 was her only priority. After Brandon had signed her out of Mercy hospital, he’d turned her over to Boss. ETE 7 was her family. “Ms. Fox, you’ve never disappointed me.” The way he said it was different this time, more like a threat than a compliment. With a quick nod, she turned to walk out of the empty, dimly lit warehouse, not far from the inner harbor. Her three-inch heels clicked and clacked over the concrete floor as she headed toward the exit. Every time she met with Boss, their meeting was in a different place, but always inside some abandoned building. Kind of creepy, but she was a woman who dealt with some of the creepiest people for a living. After the job was completed, she’d have a long uneventful break and then she’d get a text with the next location to meet him. Without a backward glance, she walked outside to her red Jaguar convertible, a gift from ETE 7. Gravel grinded beneath her open-toed Jimmy Choo’s. The sun made its descent behind the beautiful Baltimore skyline leaving a yellow halo around the peaks of the buildings. She’d come to like the city and felt a strong sense of duty to protect it and the people who lived there. Before opening her car door, Julianna drew in a breath of cool air. This was her first mission since she’d transferred from New Jersey. There was a lot of downtime in between jobs, so she was more than ready for the cocktail party where she’d find her target. She’d been molded by the best and spent the last six months proving herself. The training had come easy to her. Sometimes she felt as though deep inside, she was meant to become the woman ETE 7 had made her into. Reid Castleton surveyed the large room. Evening gowns and suits surrounded him. People he didn’t know or care to know. There was only one reason he had crashed this cocktail party. Excitement built inside his chest as he looked for her. He’d waited so long for this moment, but never dreamed it would come to this. Would she recognize him? The job would be hard, but not impossible. He could put things aside for the greater good. After all, everything was about the greater good. His mouth was dry. He tried to swallow. She wasn’t the same woman she’d been when she disappeared. He had to remember that. Regardless of the rules, he took a glass of champagne and downed it hoping it would numb at least some of what he was feeling. Tonight he wasn’t comfortable in his own skin, let alone the tight Gucci jacket. A beautiful brunette approached him. He turned away from her to look out the window at the evening sky. “Lovely party. Are you here alone?” The seduction in her voice told him that he could leave with her on his arm tonight if he so chose. “No. I’m not.” Reid didn’t even glance her way. He kept is gaze straight ahead. Normally he wouldn’t have been so rude, but tonight things were different. The sound of the woman’s heels told him she’d given up and walked away. His hands shook, so he shoved them into his pockets. Maybe his date wouldn’t show. A part of him, the part he had to keep hidden, hoped she wouldn’t. The party was well underway when Julianna arrived. She stayed in the back of the room next to a bookcase where she’d have the best view of the guests. With steady manicured fingers, she twisted the tube and re-applied the ruby red to her pursed lips. She rubbed her lips together as she tucked the compact and lipstick back into her petite beaded purse. As trained, Julianna didn’t hesitate to use her beauty to distract her marks and take them out, clueless as to what hit them until their last breath. 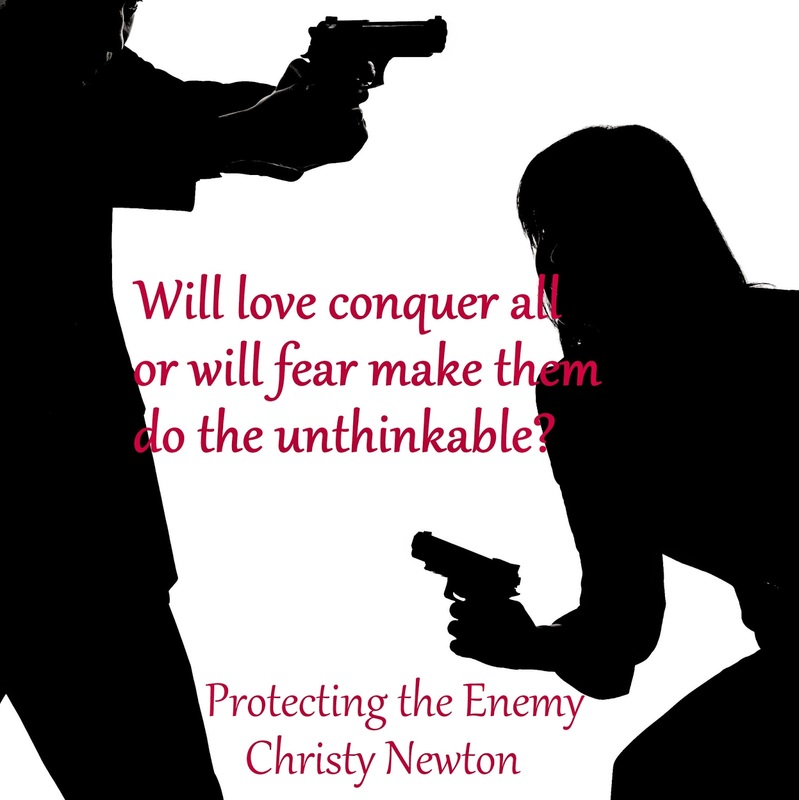 Her gun was a last resort, one she hadn’t had to use… yet. Bullets made things too messy and erasing the enemy in a tidy fashion was her specialty, what she’d been taught to do. She’d use her signature, poison cocktail. Simple, effective and untraceable. The fact that medical examiners couldn’t decipher the drug from natural causes was an additional benefit. With confidence, she glanced across the crowded room at her mark. He hadn’t yet turned his head to face her, but what she’d seen so far was a man wearing a black tailored suit which showed off his assets. She tilted her head a bit to admire him. Nice and… unexpected. A man had never captured her attention this way before. His dark brown hair was the color of gourmet coffee and probably just as rich. The blurry headshot she’d been given was no comparison to how handsome he was in person. When he turned toward her, even from afar, his chiseled face matched his amazing body. What a shame—most of her assignments hadn’t been so gorgeous. The poor guy would never know what hit him. Her first assignment she’d felt sadness and remorse. The regret had even caused reoccurring nightmares which made her question if she was cut out for this kind of raw justice, but Boss quickly reminded her that marks were enemies and enemies had to be erased to protect the greater good. Once she’d convinced herself she was on the right side, she was able to sleep terror free again. The low-cut black dress clung to her thighs as Julianna worked her curvaceous hips across the grand room. The aroma of champagne and caviar grew stronger as she walked past the waiters carrying round trays. She grabbed a glass of bubbly and dropped in a few drops of certain death with no one the wiser. Smiling at a chatty couple to her right, she nonchalantly swirled the liquids together in the flute. She stood next to him now, so close Julianna could smell his sandalwood cologne. Earthy and clean and somehow familiar. Julianna lightly touched his elbow and he turned around to face her. His warm brown eyes met her gray-blues and she was taken away to another place, another time when those same eyes looked into hers and she could feel herself smiling, happy inside. Her nerve endings sparked to life as a vivid image played in her mind. His naked, hot body glided with hers. With a gasp, the wine glass slipped through her fingers and crashed to the marble floor beneath her feet. The sound bringing the party to a halt. Everyone in the room turned to look at Julianna and the wet, crushed shards of glass that surrounded her. Embarrassed she’d been caught off guard, her lips parted. “Excuse me.” She rushed from the crowded area. Her strappy heels slapped against the tiled floor as she fled to the powder room. What was that? A cry escaped her red lips. She turned on the faucet and dabbed cold water onto the back of her neck. Slowing her breathing, she looked up into the mirror. Did she know him? It didn’t matter now, she’d blown it. Boss’ gruff voice echoed in her ears to never let feelings get in the way of the assignment. It had been one of the first things she was taught. Be sure to enter the two goodreads giveaways I have going on and please mark all my books to read! Christy Newton is a hopeless romantic and writes many genres of romance. She just might be the only author out there that doesn’t drink caffeine, but dark chocolate is her must have. She falls in love with each of her heroes and hopes you will too!